The online apologetics and discernment work Apprising Ministries has been covering the damage that’s been done by evangelicalism’s embrace of the sinfully ecumenical neo-liberal cult of the Emergent Church aka the Emerging Church—with its “big tent” Progressive Christianity aka Emergence Christianity. By using warped and toxic teachings of EC leaders like Emerging Church rock star pastor Rob Bell the mainstream of the visible church has been poisoning its own young; and since squishy evanjellyfish has now followed the mortally wounded mainline denominations out of the closet, with its man-love of heart murmur spirituality at the expense the God-centered spirituality of sola Scriptura, I’ve also been giving you peeks at its bleak future of division and compromise of God’s Word. Let me remind you here that, not only is Tony Campolo a leading spokesman for this postmodern progressive de-formation of the Christian faith—Liberalism 2.o—he’s also still quite influential within younger sectors of evangelicalism as well. 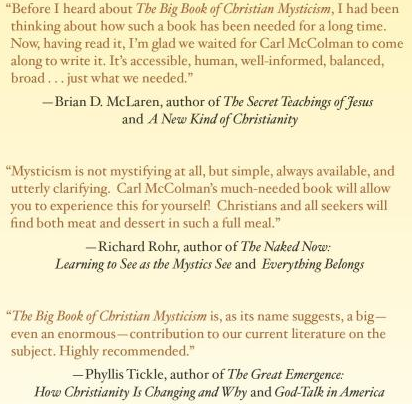 It’s important to remember, that as admirable as some of his social concerns are, Campolo is actually in bed spiritually with his fellow Red Letter Christian (RLC) friends Living Spiritual Teacher and EC guru Brian McLaren and universalist Roman Catholic mystic Richard Rohr. As you watch the promotional video for WGF below you’ll see a veritable who’s who of heretics who’ll be embarking upon some Wild Goose Chase after another spirit (cf. 2 Corinthians 11:4); this includes all the people I’ve mentioned above, as well as others quite familiar to AM such as gay-affirming “pastor” Jay Bakker, self-professed “queer inclusive” ELCA pastrix Nadia Bolz-Weber, EC interspiritual leader Samir Selmanovic, Christian universalist Chad Holtz, and the Empress of Emergence Phyllis Tickle. The Wild Goose Festival began as a simple but potent idea: What if Greenbelt could happen in a unique United States context? I talked about Greenbelt a couple of years ago in Greenbelt Festival A Peek At Future Inclusive Christianity where I explained it’s really another glimpse of the all-inclusive faith these Emergent Christ-followers find worth believing; and in fact, this perversion of the Christian faith may have already slithered into the Young Adult and Youth ministries of your own local church. Essentially, it’s really a spiritual free fall out into the delusion of creating your own Christianity with a mystic mush god made in your own image. If pragmatic tests are the means of determining which practices are valid, and if these people feel closer to God and more like Christ through their practices, then Willard has no valid way of rejecting their practices. Having no valid argument, he resorts to an invalid ad hominem argument. For most critics of such open Christianity, the problem with inclusiveness is that it allows for truth to be found in other religions. To emerging Christians, that problem is sweet… Moreover, if non-Christians can know our God, then we want to benefit from their contribution to our faith. In When We Talk About God … Let’s Be Honest, Godsey embraced positions that the church has openly declared to be heresy. In Is God a Christian?, Godsey just picks up where he left off in his earlier book, but this time he is even more explicit in his embrace of radical pluralism. Instead, he argues that Christians should “weigh scripture against the word that we have heard and seen from God in Jesus.” At this point, Godsey is left in an untenable position. What does he know of Christ apart from the Scriptures? This is a familiar predicament for liberals who deny biblical authority but claim a knowledge of Jesus. Whatever knowledge of Jesus we have apart from the Bible is just a figment of our imagination. If the Bible is not the authoritative source of divine knowledge, we are left with nothing more than our own imagination and arbitrary judgment. We can make Christianity anything we might want it to be. 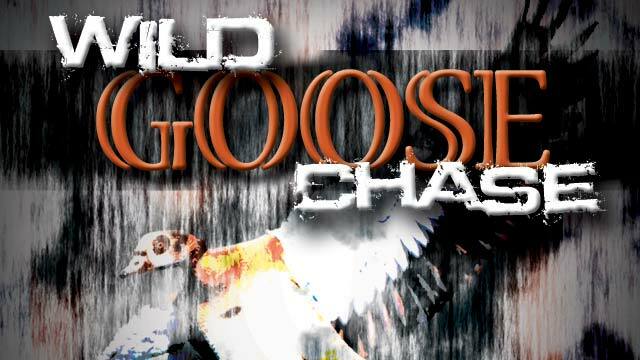 Wild Goose Festival – June 23 – 26, 2011 – Shakori Hills Farm, NC from Wild Goose on Vimeo. Samir Selmanovic, “The Sweet Problem of Inclusiveness – Finding Our God in the Other,” in An Emergent Manifesto of Hope, Doug Pagitt and Tony Jones editors [Grand Rapids: Baker, 2007], 192, 195, 196, emphasis mine.